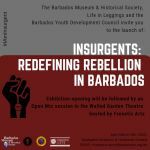 The Barbados Museum and Historical Society presents their latest Art Exhibition entitled Insurgents: Redefining Rebellion in Barbados. 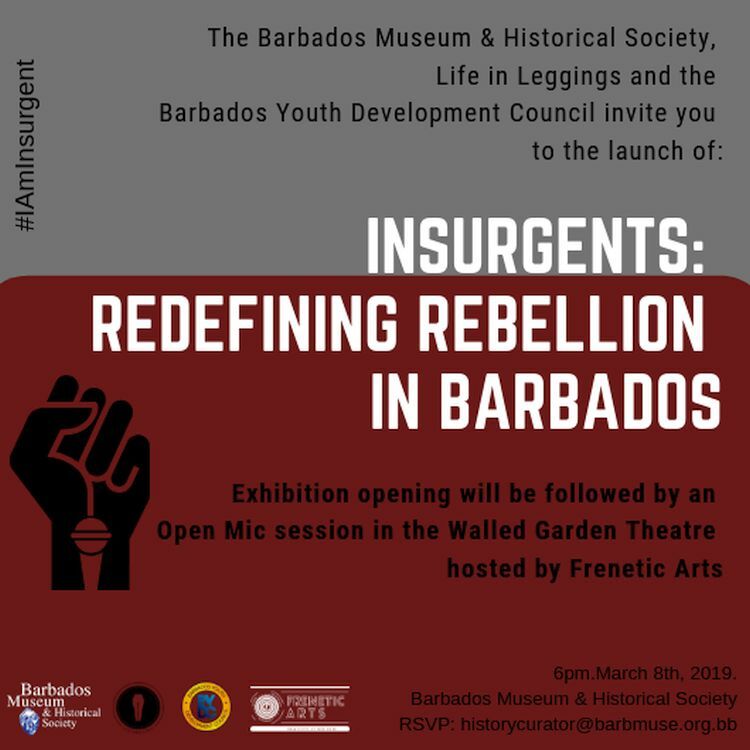 The Exhibition is a collaboration between the Barbados Museum & Historical Society, the Life in Leggings Project and the Barbados Youth Development Council. This exhibition examines the history of protests in Barbados from the 1816 rebellion featuring General Bussa, to the the Confederation Riots and the 1937 Uprisings, to the protests for LGBTQ+ rights in 2018. See examples of contemporary protests like the Life in Leggings Marches and the cheekily controversial "Stop...Littering" bus stop bench. Plus, add to the exhibition by recording and sharing your own stories of protest. The exhibition will remain at the Museum until May 31st, 2019.